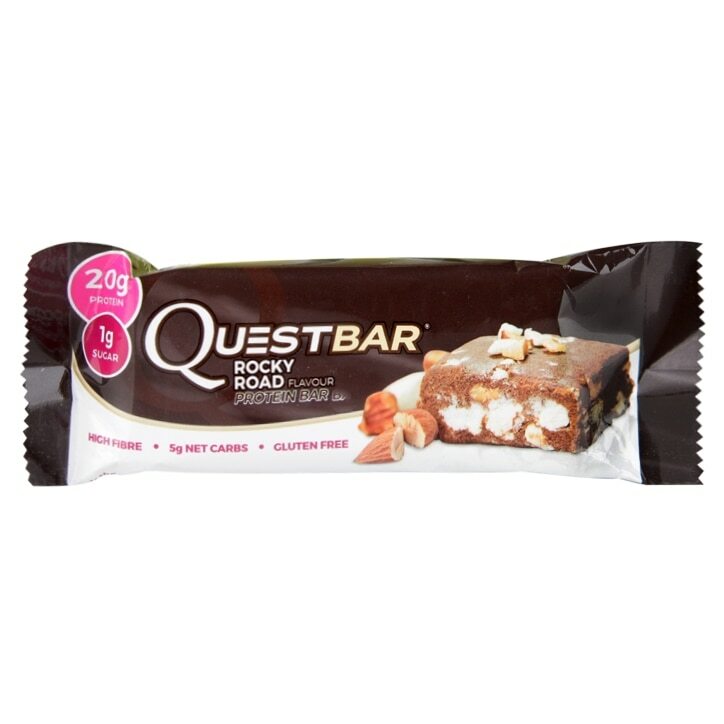 Quest Protein Bar Rocky Road is rated 4.7 out of 5 by 3. Rated 5 out of 5 by Kel74 from A Godsend for low carbers The Quest Protein Bars are great for those of us on low carb diets. These Rocky Road bars are surprisingly nice - chewy with nice big chunks and not too sweet.